The Hercules 4G DPL ATM Modem product is an IP only for AT&T wireless service. It converts IP ATMs to wireless cellular. 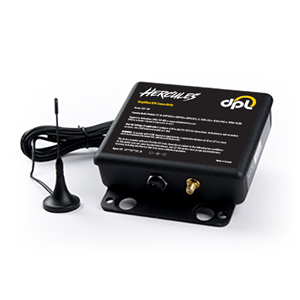 This well known product from Hercules is compatible for all ATM's and is one of the most reliable wireless units out there. Unlike off-the-shelf generic wireless routers, the Hercules is purposefully designed and produced in North America for ATM usage. Our communication protocols have been engineered and optimized for real-time ATM transaction processing. The Hercules has been reliably processing EMV and DCC transactions for years. DPL is a PCI-DSS Level 1 service provider. DPL's network architecture ensures multi-layered encrption between the Hercules and ATM processors. Geographically redudant data centers that maintain a 99.99% uptime while handling over 100 million connections yearly to ATM processors. Should your wireless modem fail to function, our tech support team is available to get you back up and running as soon as possible by providing the best solution available in your plan.